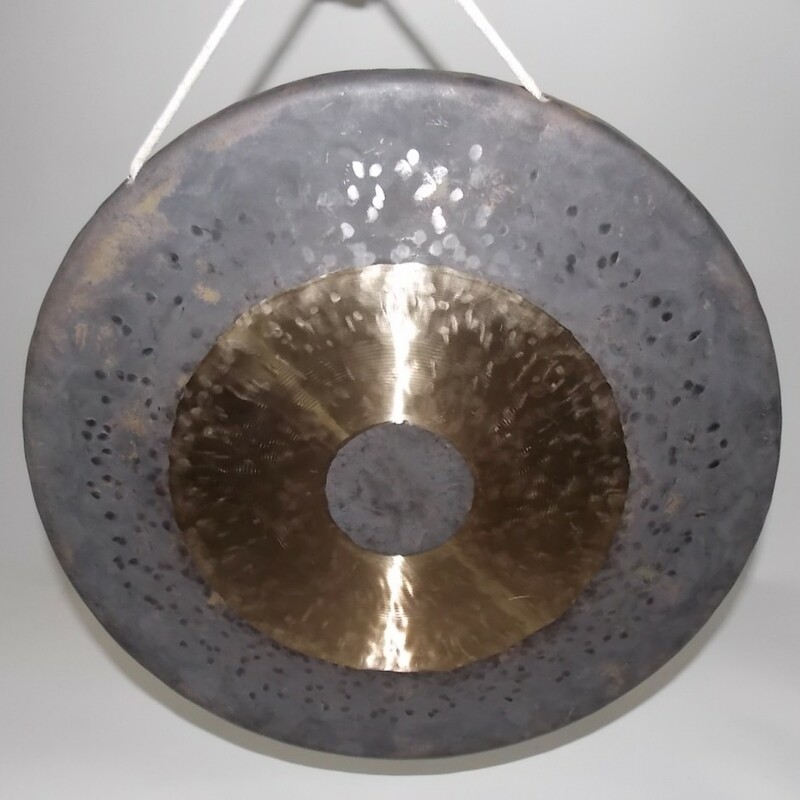 By far the most familiar to most Westerners is the chau gong or bullseye gong. 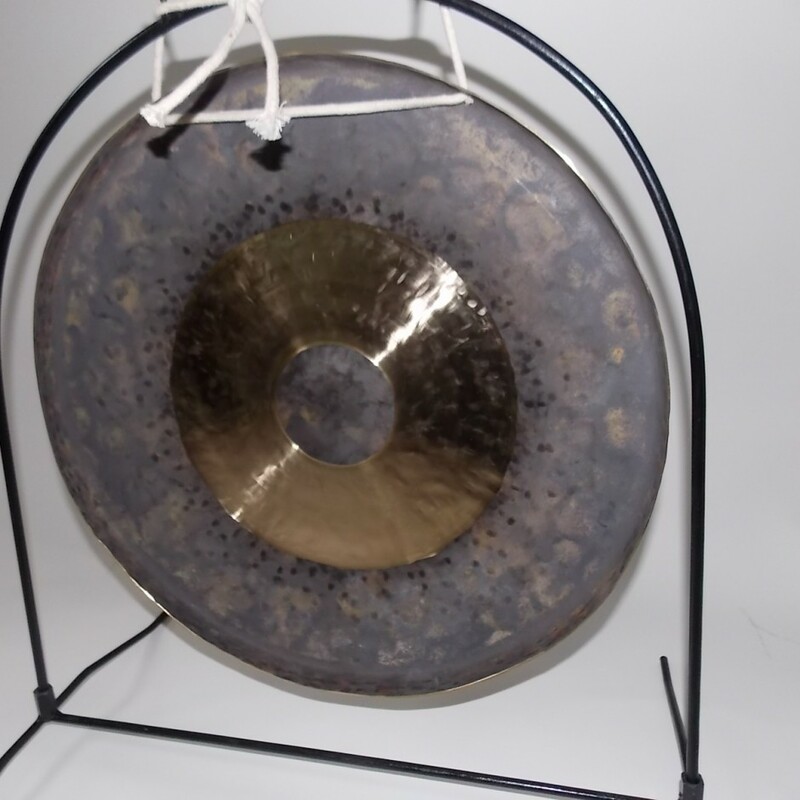 Large chau gongs, called tam-tams (not to be confused with tom-tom drums) have become part of the symphony orchestra. 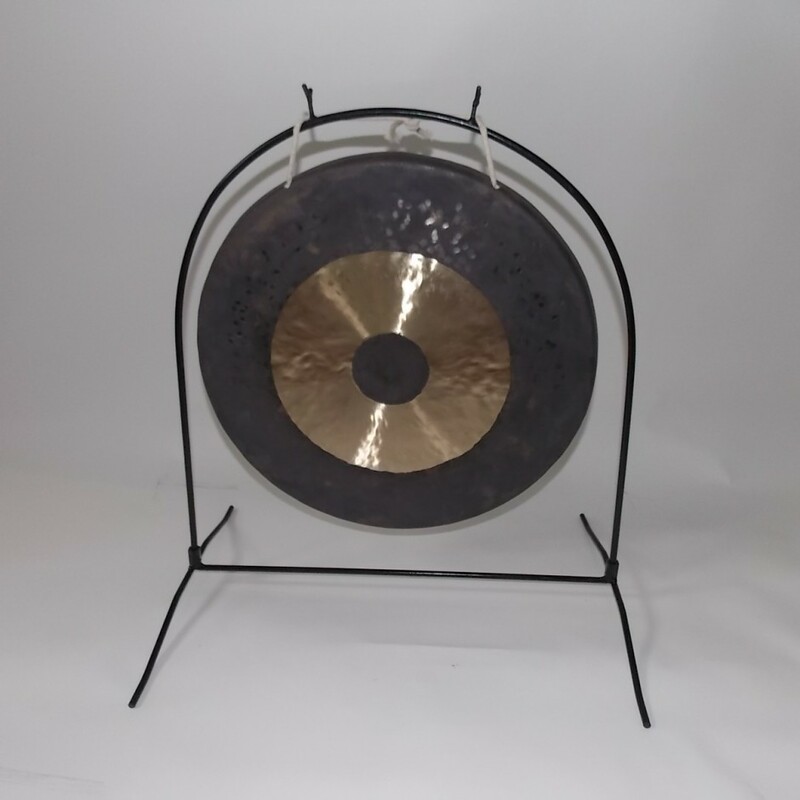 Sometimes a chau gong is referred to as a Chinese gong, but in fact it is only one of many types of suspended gongs that are associated with China. 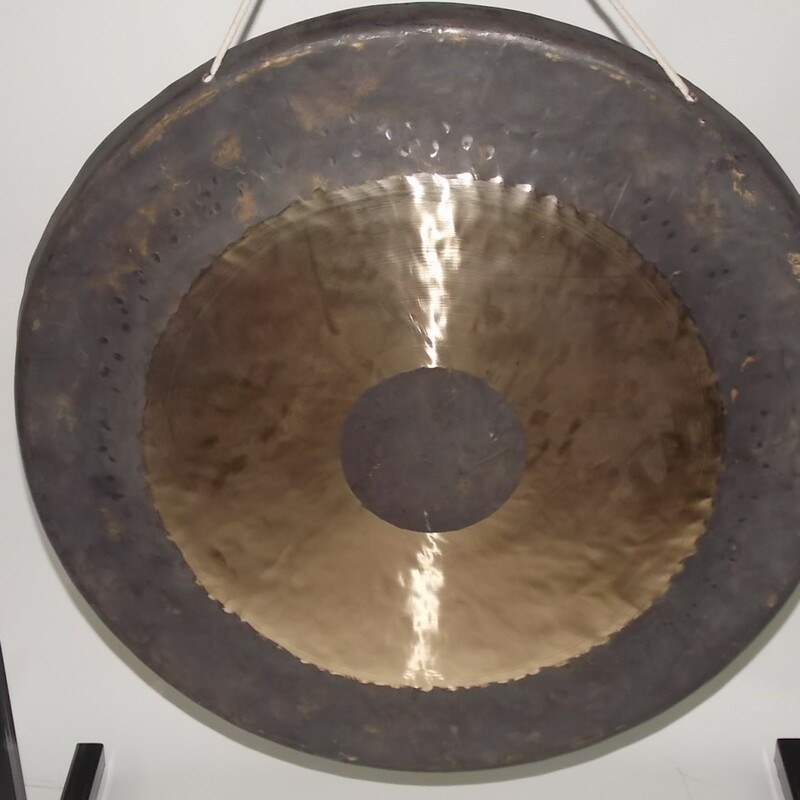 The chau gong is made of copper-based alloy, bronze or brass. 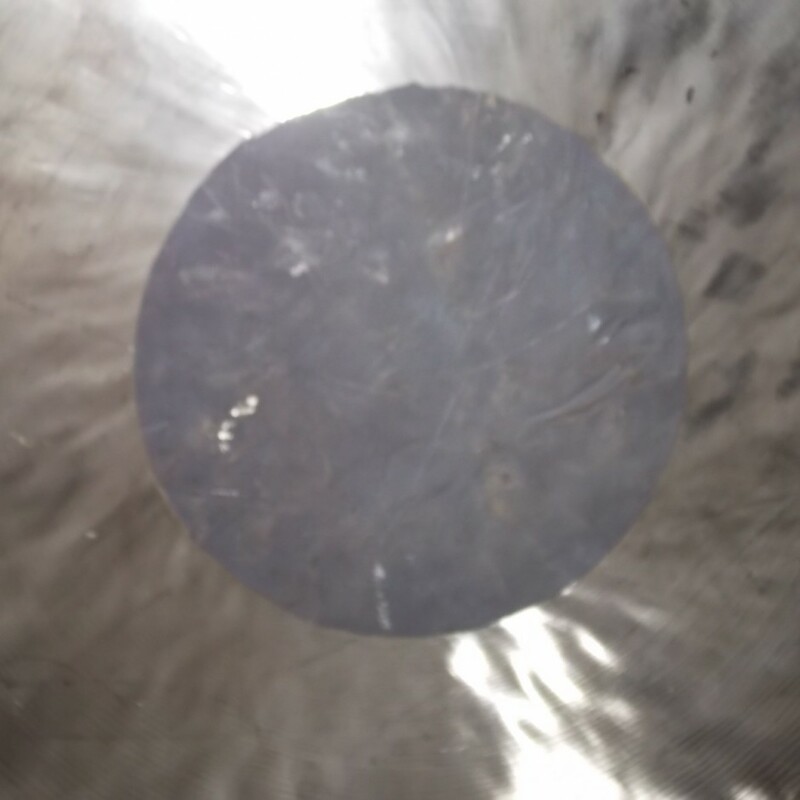 It is almost flat except for the rim, which is turned up to make a shallow cylinder. 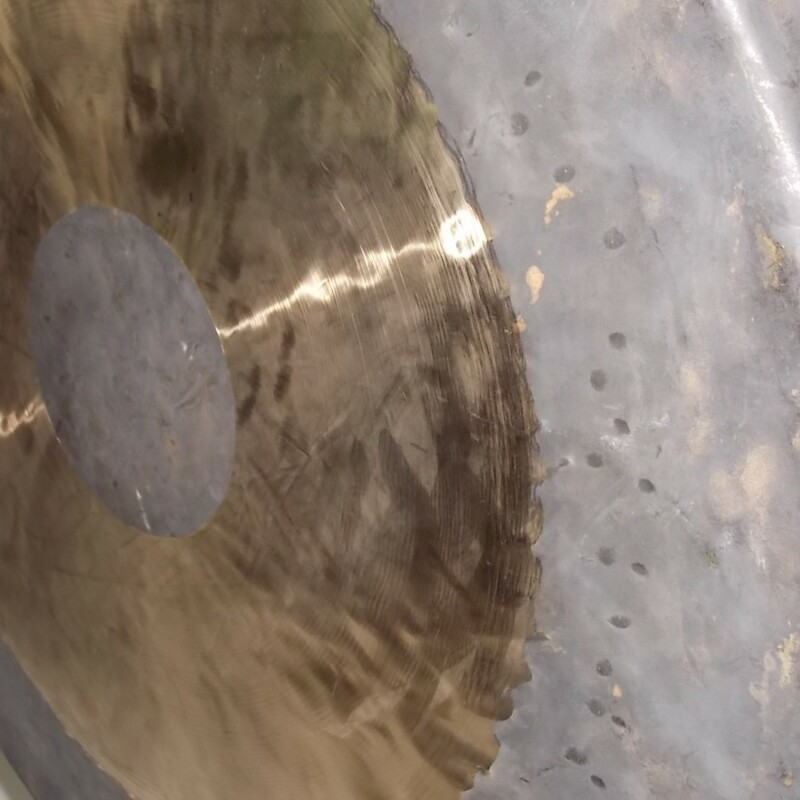 On a 10″ gong, for example, the rim extends about a half an inch perpendicular to the gong surface. The main surface is slightly concave when viewed from the direction to which the rim is turned. 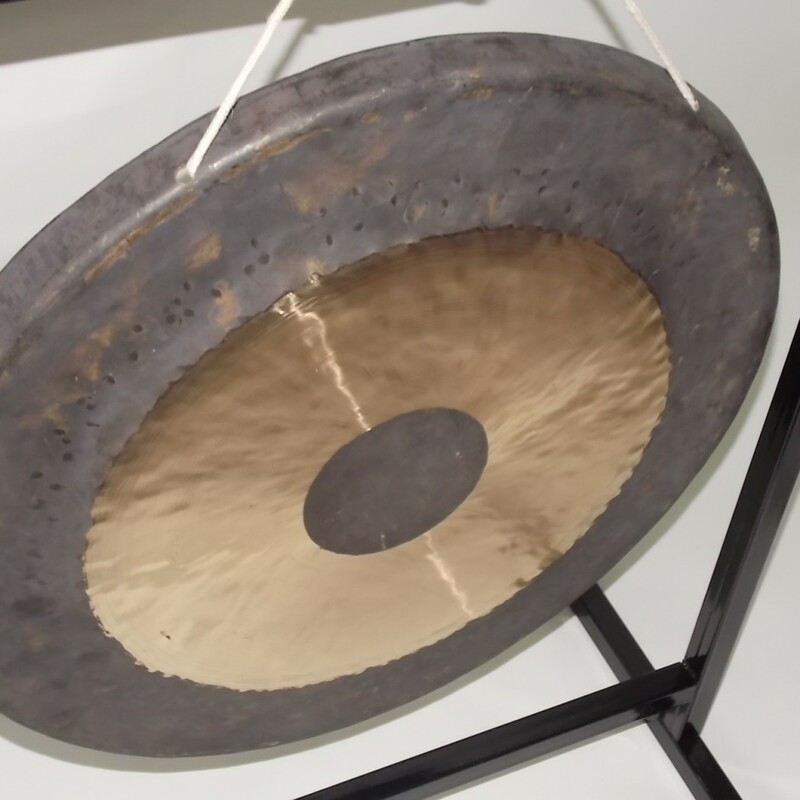 The centre spot and the rim of a chau gong are left coated on both sides with the black copper oxide that forms during the manufacture of the gong, the rest of the gong is polished to remove this coating. 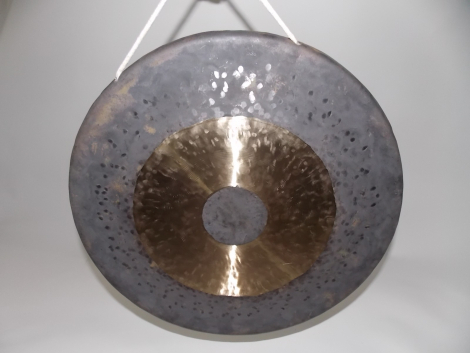 Chau gongs range in size from 7″ to 80″ in diameter. 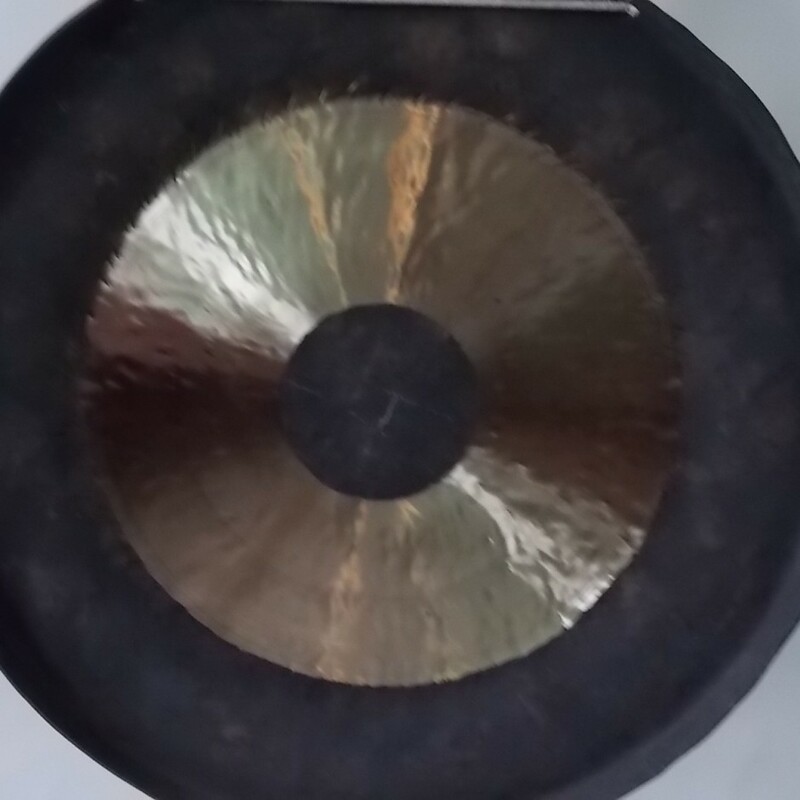 The earliest Chau gong is from a tomb discovered at the Guixian site in the Guangxi Zhuang Autonomous Region of China. 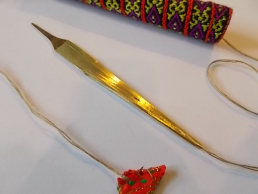 It dates from the early Western Han Dynasty. 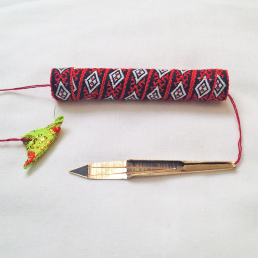 They were known for their very intense and spiritual drumming in rituals and tribal meetings. 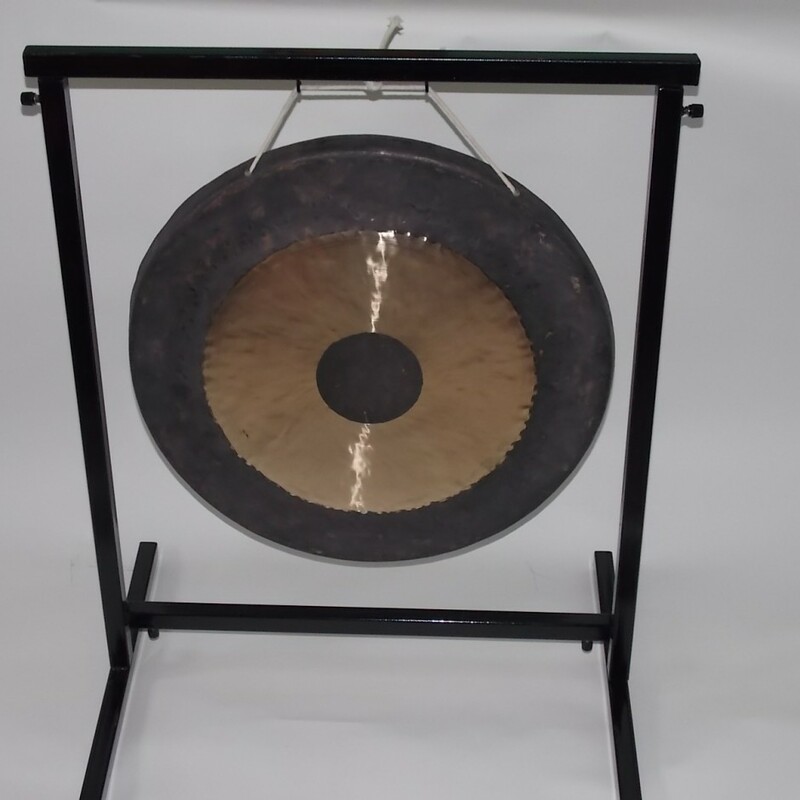 Traditionally, chau gongs were used to clear the way for important officials and processions, much like a police siren today. 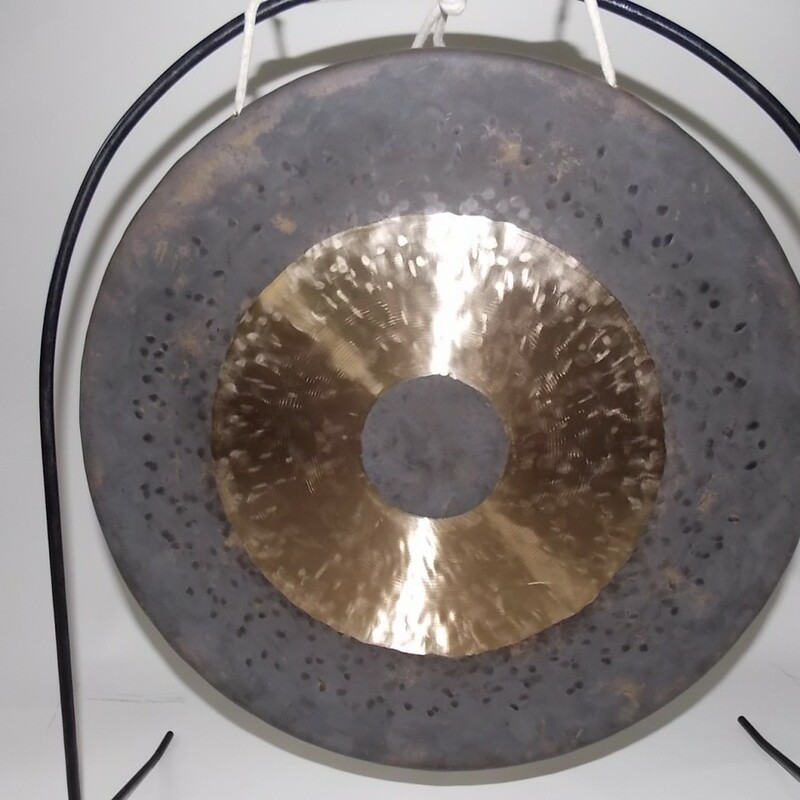 Sometimes the number of strokes on the gong was used to indicate the seniority of the official. In this way, two officials meeting unexpectedly on the road would know before the meeting which of them should bow down before the other. 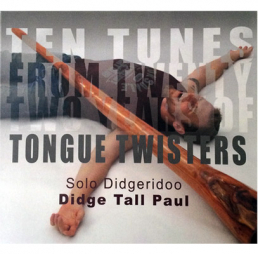 This is my latest didgeridoo solo album. 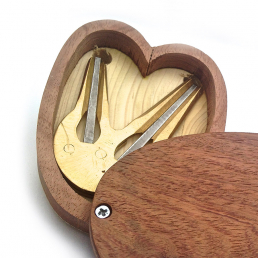 Medium single tang dan moi with a high resonant tone.